If you signed up for Apple Music when it launched on July 1st, you got a three-month free trial, which was set to auto-renew on October 1st: that’s the day after tomorrow! 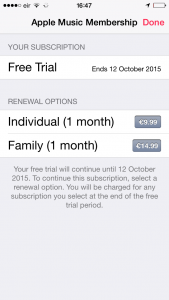 Some people probably went straight in to their Apple Music settings and disabled the auto-renew, allowing the trial to expire when it’s done. Others will have said: let’s wait and see. This could be good, they might have said. But it’s likely that most of you have forgotten about Apple Music, and the fact that it may be about to charge €9.99 for a service you never use. So, if you’re in that group, stop what you’re doing and go and disable the auto-renewal now. Seriously! It’s had three months to make an impression on you, and if you don’t love it now, you definitely shouldn’t starting paying a monthly rent for it. 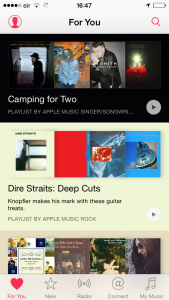 Open the Apple Music app on your iPad or iPhone. 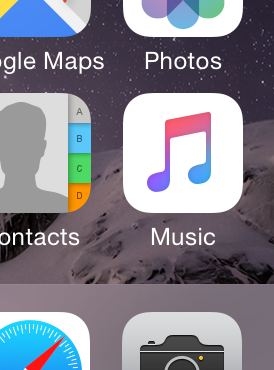 Now open the Apple Music app and click on the profile icon in the top left. Choose ‘View Apple ID’ and put in your apple password if prompted. Under the ‘Subscriptions’ header, choose ‘Manage’. 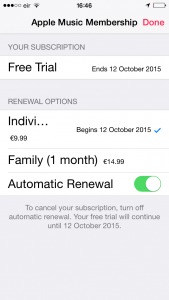 On the Apple Music Subscription page, slide the ‘Automatic Renewal’ switch to ‘OFF’. If you signed up sometime after the service was launched, you’ll still have days to go before the auto-renewal is due, but you can still cancel it now, and the free trial will continue until your trial period expires.